KIEV, Ukraine (AP) — The party of jailed former Ukrainian Prime Minister Yulia Tymoshenko is asking the German government to arrange for her to be flown to Germany for treatment for a back problem. 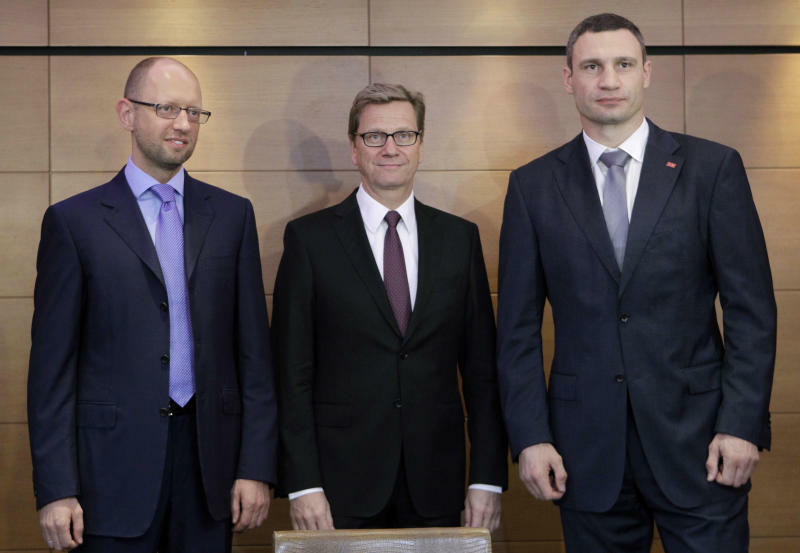 Tymoshenko ally Arseniy Yatsenyuk asked German Foreign Minister Guido Westerwelle Friday to help send her to Germany. The move is seen as an initial face-saving measure acceptable to both Western governments and President Viktor Yanukovych, whose relations have been strained by Tymoshenko's imprisonment. Tymoshenko is serving a seven-year sentence on charges of abuse of office, which Western countries have condemned as politically motivated. The European Union has warned it will not sign a long-awaited cooperation agreement with Ukraine until it resolves what the EU calls issues of "selective justice."